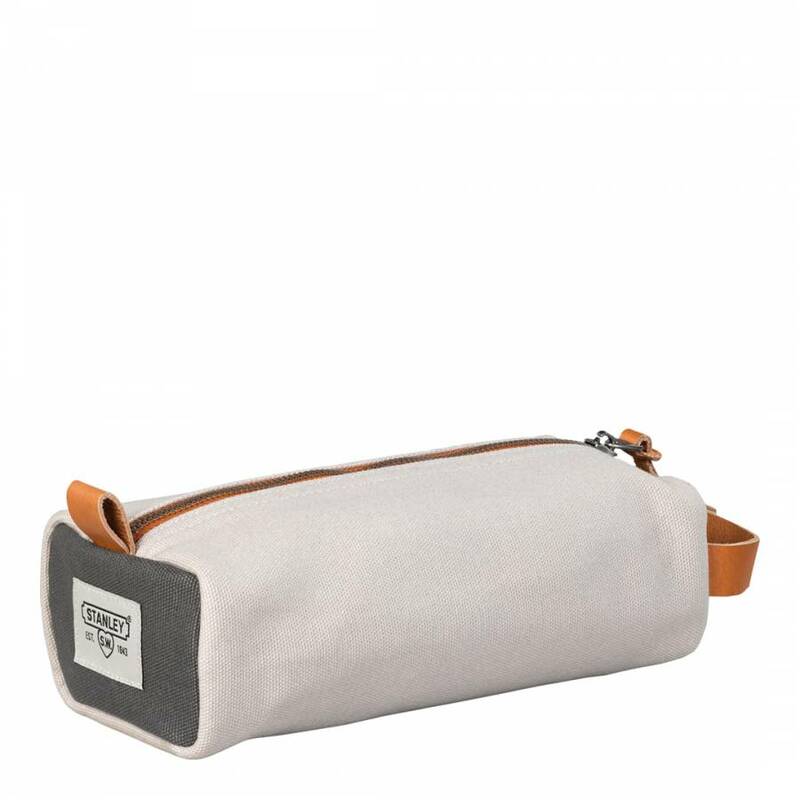 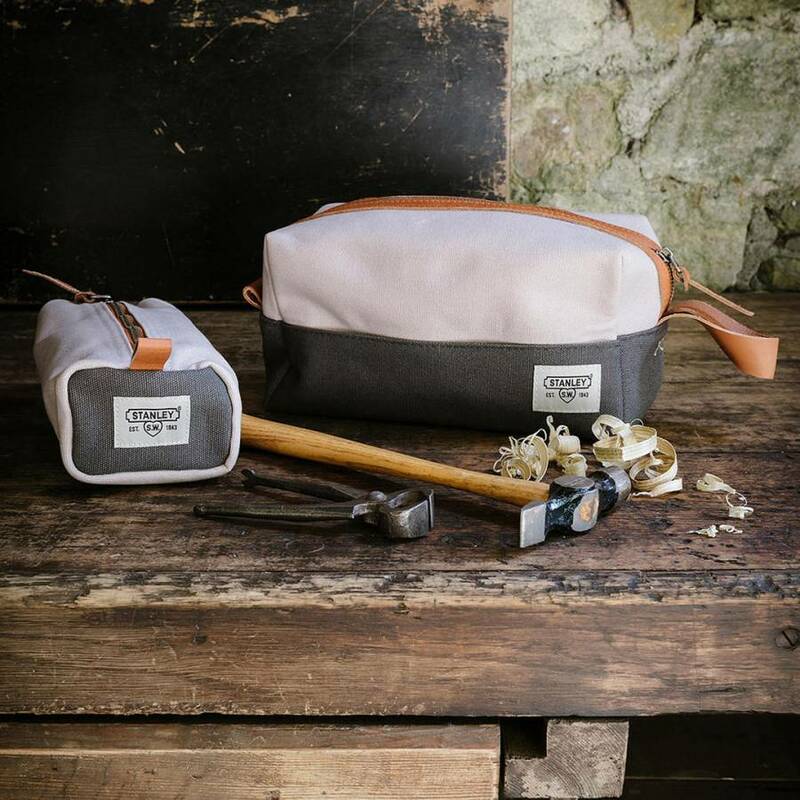 This STANLEY Small Toiletry Case is fully lined and features a practical leather carry handle or hanging tab and zip closure in tan. 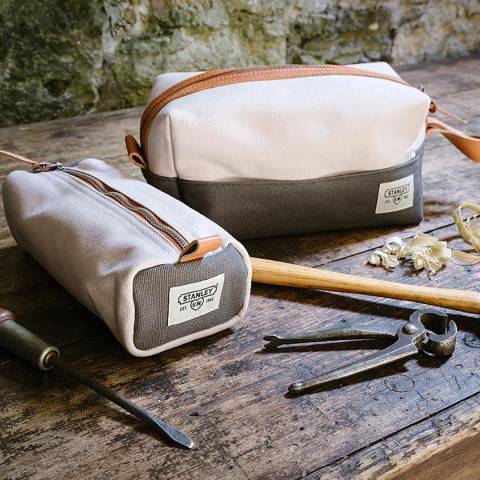 Perfect as a toiletry case, travel bag or mini dopp kit, it's the ideal size for all storing all your weekend essentials. The two-tone canvas design displays the STANLEY logo embroidered onto the side and end of the case.